With a successful career in PR and marketing, I have always been interested in people and what affects their behaviour. I decided to take this interest, and use my business and life experience, to help individuals to change their lives for the better. I was awarded the Diploma in Cognitive Behavioural Hypnotherapy (with Distinction), from the College of Cognitive Behavioural Therapies (CCBT) in London. This qualification involved training in CBT, as well as hypnosis and counselling. Prior to that I also gained a qualification to practise as a coach (Newcastle College). In my previous business career, I worked both in-house and for large London PR agencies before setting up my own consultancy. I have a BA (hons) in Sociology with Psychology from Nottingham University, and the professional Chartered Institute of Marketing Diploma. 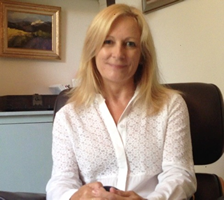 Professionally qualified and fully insured, I belong to several professional associations including the AREBT (Association of Rational Emotive Behavioural Therapy), the GHR (General Hypnosis Register) and the CNHC (Complementary and Natural Healthcare Council). I have also worked as a volunteer therapist with the charity Anxiety UK, and as a course supervisor and tutor at the CCBT. Additional specialist courses completed: CFT (Compassion Focused Therapy); ACT (Acceptance and Commitment Therapy); Pain Management; Weight Management; Treating Panic Disorder; Solving Self Esteem Problems; Overcoming Insomnia. Is CBT the Right Therapy for You?